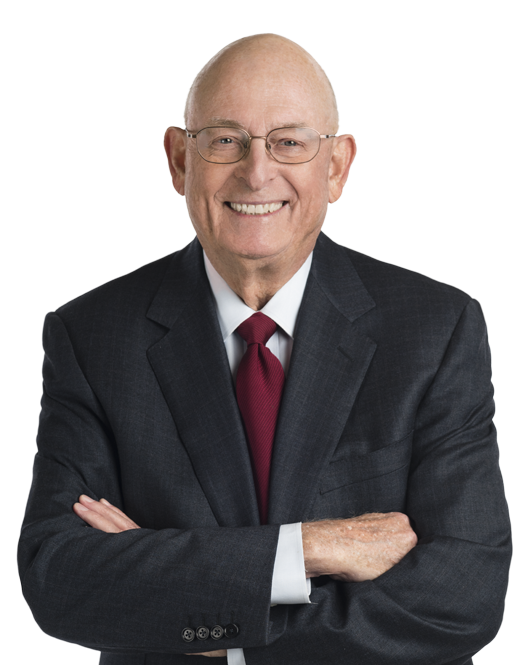 With over 50 years of experience in the federal tax area, Larry Gibbs counsels senior executives of large businesses about their most demanding tax planning, Internal Revenue Service (IRS) controversy, Congressional and litigation matters. He often works with other Miller & Chevalier lawyers, as well as the clients' tax professionals to help develop clients' solutions. Mr. Gibbs' clients include businesses, tax-exempt organizations (including public charities, private foundations and retirement plans), wealthy individuals and families. Market commentators from Chambers have described Mr. Gibbs as "a driven person with a wealth of experience at the IRS and outstanding in dispute resolution matters." Mr. Gibbs also has served as an expert witness in a significant number of large civil, and to a lesser extent criminal defense, cases. His generalist tax background and understanding of the federal tax law and tax system, combined with the more specialized knowledge of other tax professionals at Miller & Chevalier, enable him to provide in-depth expertise on a broad spectrum of federal tax issues. Counseled senior executives of a Fortune 50 company and their litigation attorneys about positions to take and supporting arguments to make in developing their legal position and approach to their "bet-the-company" tax litigation with the IRS. Counseled with a major charity's top executives and coordinated with their legislative affairs and media staffs concerning the charity's approach to deal with proposed legislation and possible Congressional hearings that could have detrimental consequences to its reputation and operations. Advised Chief Tax Officer of a Fortune 10 company about revising company's approach to IRS National Office attorneys, who initially refused to rule, in order to obtain a favorable private letter ruling to enable the company to restructure an important proposed transaction required by another federal agency for regulatory purposes before the agency's deadline. Served as testifying expert witness in lengthy, substantial Dutch litigation concerning the U.S. federal income tax consequences of complex European corporate restructuring arrangements to compensate U.S. executives of a worldwide commodity trading company. Served as testifying expert witness in separate trials to a judge and before a jury to enable clients to defend against a proposed termination of commercial real estate venture and judicial sale of all business properties, testimony that detailed the federal tax consequences of any such sale or, alternatively, a liquidation of venture and distribution of venture's properties. Advised top executives at Fortune 100 companies about how to respond to requests for company's sensitive tax information by U.S. Senate Permanent Subcommittee on Investigations that was in the process of determining whether to subpoena the company to publicly appear before the Subcommittee. On one occasion, advised about issues arising in connection with an appearance and sworn testimony before the Subcommittee. Advised executives of large (100+ partners) partnership, which had been involved in controversy with IRS for 10 years with proposed income adjustments exceeding $250 million, to adopt a strategy that led to a settlement for less than 5% of amount in controversy and an IRS agreement to issue no-change audit reports for all later years. Advised executives of Fortune 100 company that was prevented by a proposed Treasury Regulation with a retroactive effective date from refinancing its outstanding debt structure to develop a strategy to persuade Treasury Department, prior to issuing final regulations, to take an action that permitted the client to proceed with its refinancing. Advised top executives at large charities -- including a major community hospital, one of largest U.S private schools and a foundation supporting all athletic programs at a major state university -- that had received proposed revocations of their tax exemption from the IRS to adopt different strategies to resolve all issues without loss of exemption. Counseled with prominent attorneys and certified public accountants about disciplinary actions proposed by the IRS Office of Professional Responsibility (OPR) about approaches tailored to each professional's circumstances in order to enable them to persuade OPR to significantly reduce or eliminate the sanctions proposed against them. Advised a variety of businesses about the policies and procedures of the IRS Whistleblower Office and how to recognize and minimize potential whistleblower risks at the company and during the company's dealings with IRS. Larry Gibbs commented on the nomination of Michael Desmond to become chief counsel of the Internal Revenue Service (IRS). Larry Gibbs commented on the ongoing effect of vacancies at the Internal Revenue Service (IRS) and the U.S. Tax Court. Jorge Castro's arrival at Miller & Chevalier was covered by General Counsel News. In this article, Larry Gibbs outlines why he believes a recent DC District Court decision in Loving v.